It was all good just a week ago. Real Housewives of Atlanta's Nene Leakes, Cynthia Bailey and Sheree Whitfield were all hanging out to celebrate Kenya Moore's 45th birthday, but the celebration was short lived. 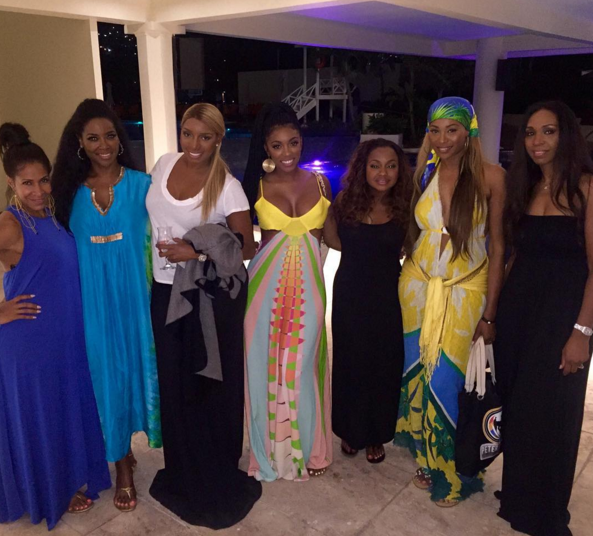 It seems like Nene and Cynthia's friendship is over once again. This is what Cynthia gets for denying her friendship with Kenya in front of the Moose! Kenya may be unstable at times, but she was a true friend to Cynthia. Nene, on the other hand, will cut off her "friends" whenever the weather changes. You know Cynthia's standing around looking dumb af right about now. Nene posted this photo of her "real friends" during Super Bowl Sunday. 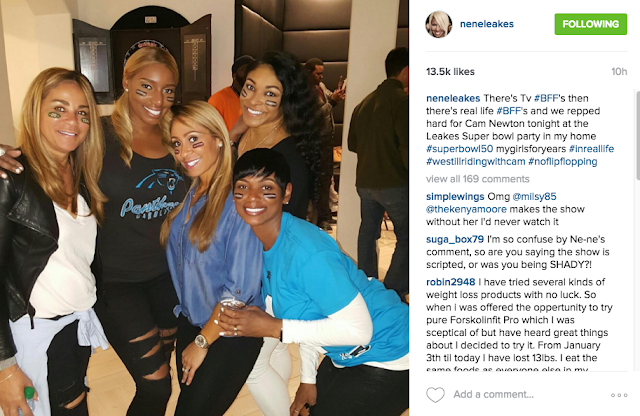 The caption reads, "There's TV BFFs then there's real life BFFs and we repped hard for Cam Newton tonight..."
Can BravoTV cut this wig wearing heffa off already? She adds nothing to the show, and the only reason why she's making an appearance now is because her Broadway gig has dried up and no one's buying those tacky t-shirts she makes.